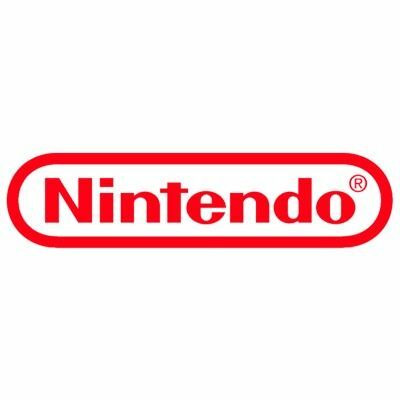 Once again, Nintendo drops us a Mario Tennis title. Their last outing with Ultra Smash on the Wii U…didn’t go so well, so how will this new outing on the Switch fare? Jam packed with a bunch of your old favorite characters, some new features, and a story mode for the first time in over a decade since the Game Boy Advance’s Mario Tennis Power Tour, it looks promising. What’s it got to offer? Let’s take a look. Aces begins with a moment of victory! Mario and Peach have just defeated Bowser and Bowser Jr. in a tournament. During their celebration, Wario and Waluigi traipse out onto the field bearing a gift for the victors : a special tennis racket. Luigi walks over to accept it for them, and as he touches it the racket binds with him, Wario and Waluigi, and sets off a massive storm in the huge arena. Determined, Mario sets out with Toad to learn more about this racket. At the Bask Ruins, an entity known as Aster informs Mario that the racket, known as Lucien, destroyed the Kingdom of Bask many years previous. Bask’s king, though, was able to strip Lucien of it’s power and divide it up into five Power Stones. To save his brother and (for some reason) Wario and Waluigi, Mario must reunite the Power Stones with the racket and save his beloved kingdom for…how many times has it been now? 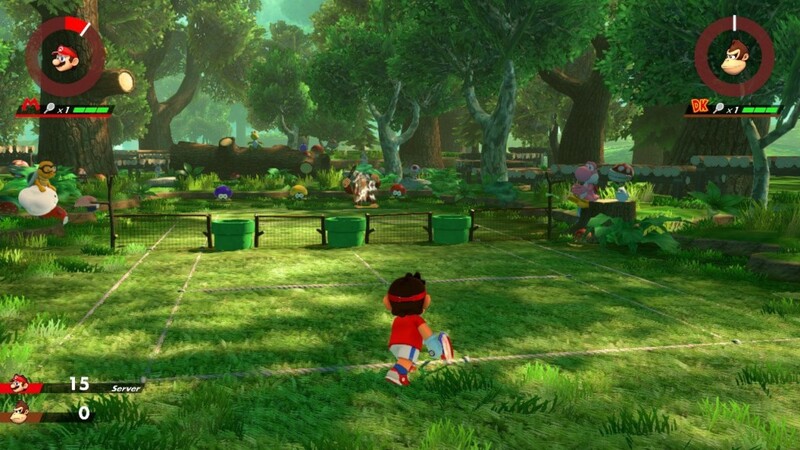 Naturally, the main focus of Aces is tennis matches. In Adventure Mode, you’ll utilize an overhead map much like Super Mario World on the SNES, travelling between levels that are depicted as circles. Red circles mean the level has yet to be completed, while blue ones mean you’ve done it. You can guide Mario through each of the world’s which come with a small handful of levels to be completed. They all need to be played in order, and always ends up with you taking on a boss fight which, if you win, yields one of the Power Stones for your quest. What’s fun is that not all of the levels are your basic, run-of-the-mill tennis matches. 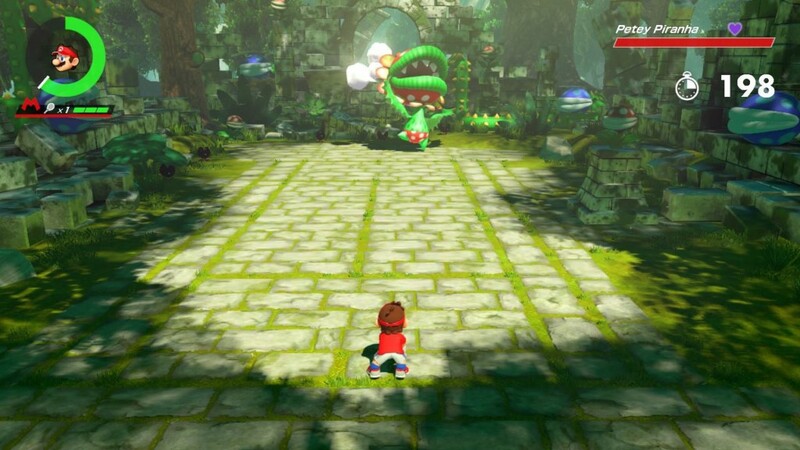 You’ll also face numerous different challenges such as Mario needing to knock off a number of enemies from a stage, or keeping a long rally going to earn a specific number of points. Certain stages can even add a new racket to your arsenal, which can come quite in handy on your quest. But those aren’t the only new additions, because Aces introduces a couple of new moves as well. Zone Speed and Zone Shot are the new moves you’ll need to master to make sure you obtain all five Power Stones. Both are used via the same charge meter, which can be filled by charging your return shots. Simply line up your placement where the ball will land, and start your shot early to return it. The longer you do this for, the more you’ll fill the meter for the Zone moves. Zone Speed helps you more on defense, giving you the ability to run at super speeds and slow the world down around you. Zone Shot triggers a super jump into the air, and shifts things into a first person view, giving you ultimate precision in planning your next shot. You can choose to aim extremely far away from where your opponent is, or directly at them. If you aim at them, and they fail to return it accurately, there’s a chance their racket will take damage. Do this a few times to each of their rackets (assuming they have more than one), and you can instantly win the match with a KO victory. Be careful though, because your opponents have access to these moves as well. Outside of Adventure Mode, players can treat themselves to some casual matches against CPU opponents, or face off against other players online. The roster extends to a lot of the Mushroom Kingdom’s familiar faces like Mario (naturally), Peach, Bowser, and Luigi. 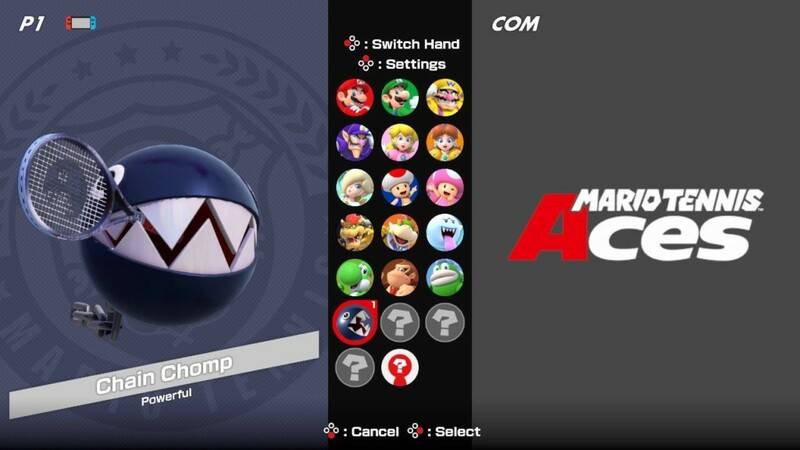 Some new faces join the ranks as well, including my personal favorite (because of how ridiculous it looks holding a tennis racket) Chain Chomp. Every element of this game is extremely well done and feels absolutely smooth. 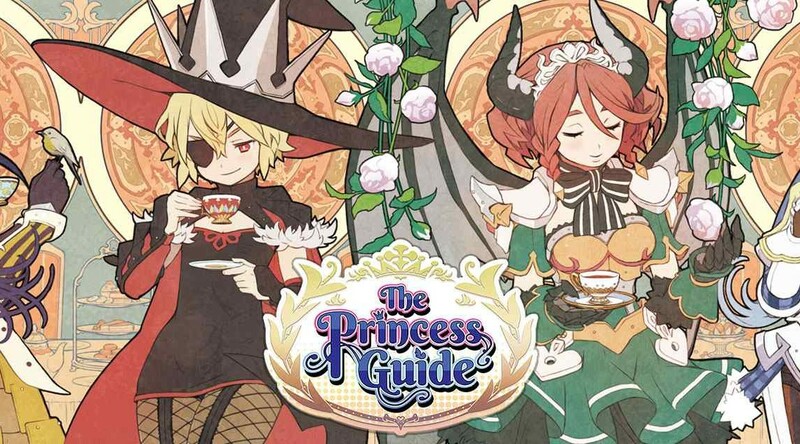 I’ve yet to check it out online, so I can’t speak for the connectivity and such, but Adventure Mode and Free Play are more than enough to keep a player occupied for hours in this game. 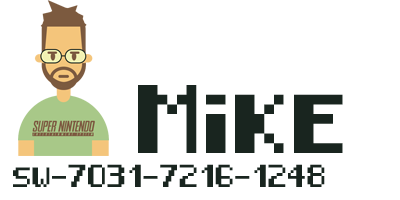 One thing that I found a bit upsetting was the lack of mini-game’s outside of Adventure Mode. Way back on the N64, Mario Tennis 64 offered a few rally challenges, even Mario Tennis Open on the 3DS offered a mini-game where you could play a version of the original Super Mario Bros. by hitting a tennis ball against a wall-represented version of the levels. Again, there’s “extras” to do that are offered in the Adventure Mode, and they can be replayed to your hearts desire, but there’s nothing additional to these. 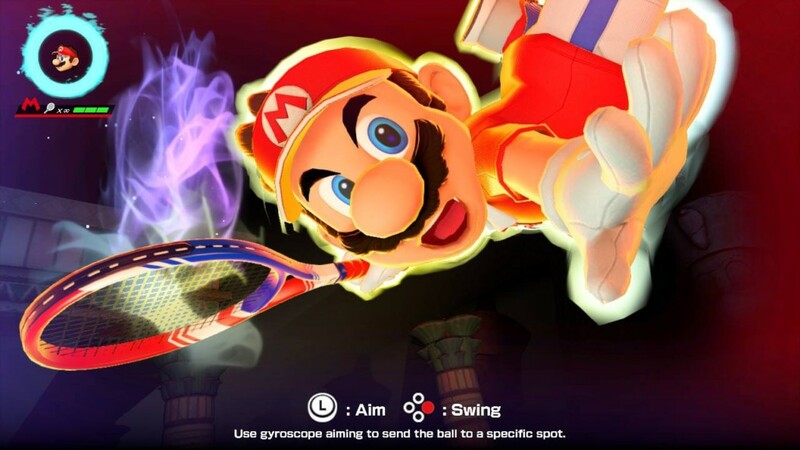 Overall, Mario Tennis Aces is quite a lot of fun. Giving this game a short and sweet story mode is a great way to experience all the new features brought into this new game, and learn them on a curve against the game’s difficulty. Naturally, all the other entries in the Mario Tennis series got it right with tournaments, and you can still make your own of these outside of Adventure Mode. At first, the new Zone moves seem extremely over powered, and an easy way to cheese the game. However, after a couple of worlds into the story, it’s going to be hard to keep this move stocked and keep yourself afloat. I still would have liked to see some gimmicky addition into the game, and who knows they may release one in a future patch (or on the next consoles re-release of this game…we all know it’s bound to happen), but as is, this is well worth adding to your Switch library. 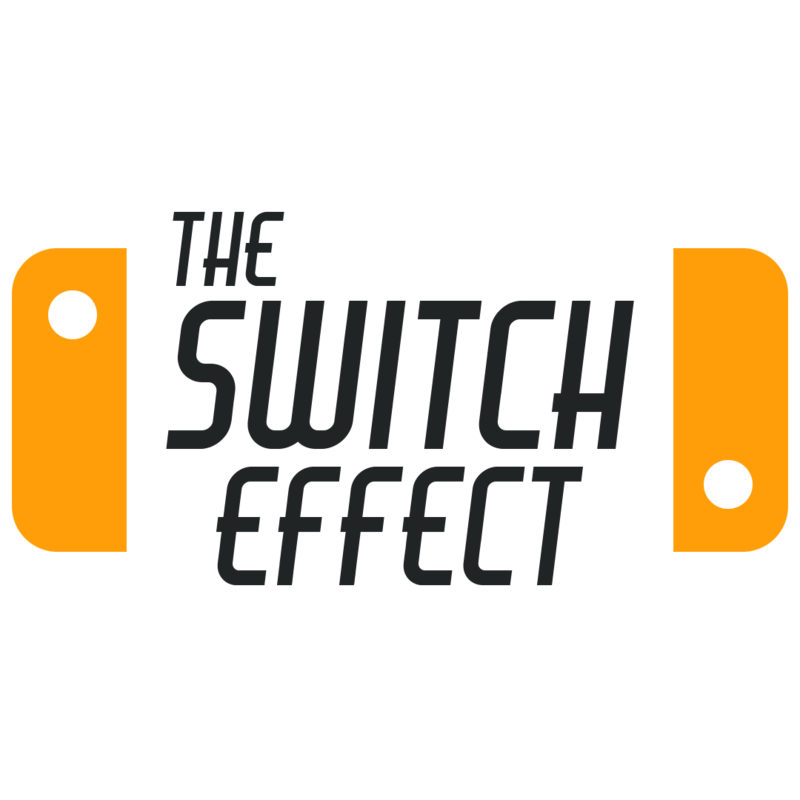 On a bit of a further note, Aces can be played in all modes, but if you happen to play with loose joy-cons, you can even treat yourself to picking up a rally with motion controls in the games Free Swing Mode. 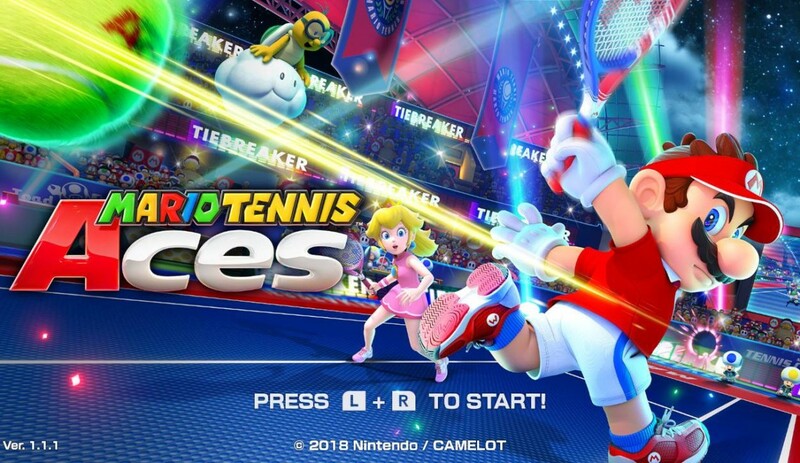 This game is for the whole family, so grab them or some friends and hit the courts with Mario Tennis Aces on the Nintendo Switch.